One more day of climbing as we enter into Lorraine. This is a roller coaster day with plenty of shorter but steep climbs to be taken in low gears - too long to be taken at speed in most cases. 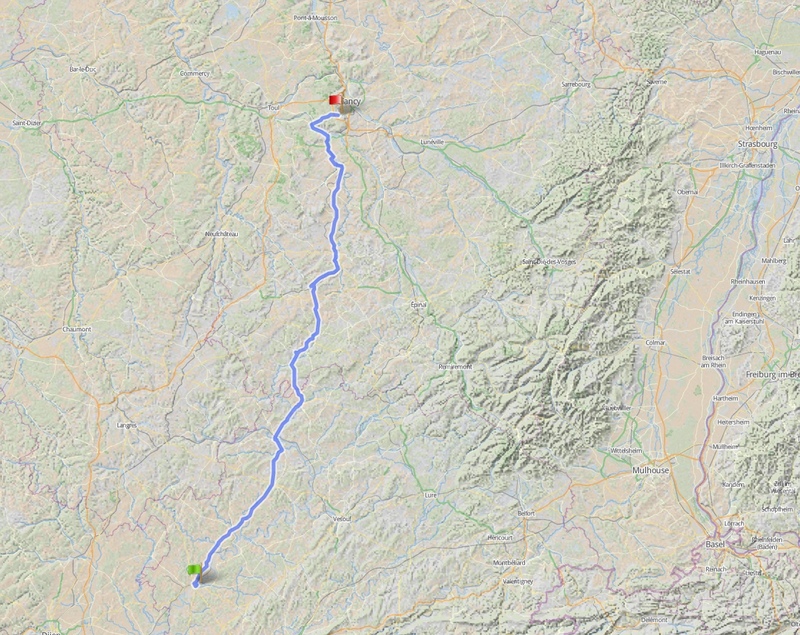 I have optimized the route to take out some climbing which isn't actually necessary to get us from Gray to Nancy. Which means that we do not pass through Vittel as I had originally planned. Saves a few hundred meters of climbing and some distance. There is some more climbing to do as we head on towards Nancy with a number of shorter steep climbs, topped by a final nasty climb of nearly 200 m over a few km just outside of the surburbs of Nancy.